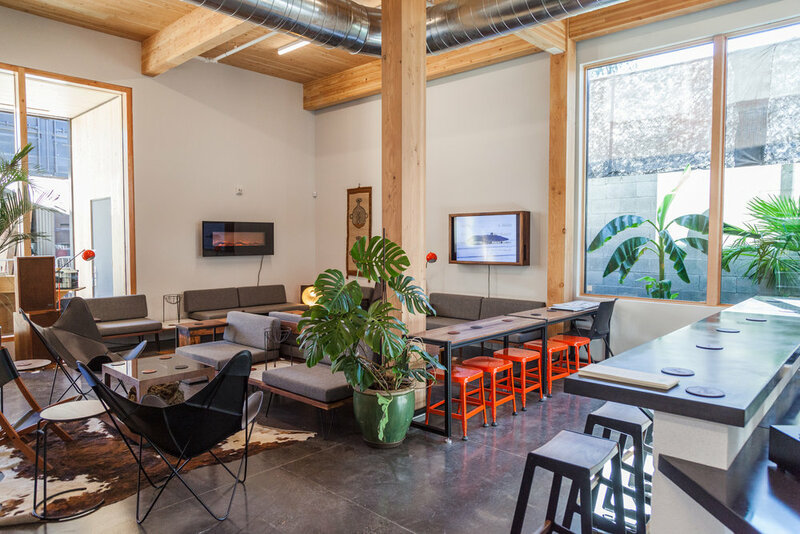 Albina Yard is a 16,000 sf creative office building in North Portland’s vibrant Mississippi District. It features high ceilings, plenty of exposed wood, and inspiring and energy efficient workspaces filled with an abundance of natural light and access to a beautiful outdoor seating and gathering area. The most innovative and cutting-edge feature is it's mass timber construction – glue-laminated timber frame and cross-laminated timber panels are the first use of domestically fabricated CLT for a building-wide structural system in the United States.